This is the complete interview by Robert Benjamin with Jim Coben, long-time former director of the Hamline University Conflict Resolution Program, filmed as part of Mediate.com's 'Views from the Eye of the Storm' Video Series. In Kakani v. Oracle Corp., the appellate court rejected the assertion that the involvement of a mediator helps to prove lack of collusion. In the case Catamount Slate Products v Sheldon, the appellate court reversed the trial court and refused to enforce an alleged oral mediated settlement where the intent of the parties to be bound was not established. In Estate of Barber v. Guilford County Sheriff's Department,, the appellate court ruled that a plaintiff's obligation not to defame a wrongful death action defendant is not unenforceable as a prior restraint on speech, where record showed the mediated agreement was based on a knowing, voluntarily and intelligent waiver of constitutionally protected rights. In Chesney v. Hypertension Diagnostics, the appellate court affirmed the trial court's conclusion that a mediated memorandum agreement is binding and enforceable despite the parties' failure to complete a more comprehensive settlement document. In Lee v. Lee, the appellate court considered what happens if an agreement is reached outside of the mediation room. Is it enforceable? In Fair v. Bakhtiari, , the appellate course reversed the trial court's refusal to enforce a mediated settlement and compel arbitration pursuant to its terms because inclusion of the arbitration provision in the settlement was "consistent solely with an intention on the part of the parties for the settlement terms document to be enforceable or binding," thereby making the settlement admissible based on a statutory exception to inadmissibility where an "agreement provides that it is enforceable or binding or words to that effect." In State v. Williams, the appellate court considered a difficult question of mediator confidentiality. Is a mediation a fully confidential space or can the information shared in mediation be later submitted in court? In Fivecoat v. Publix Super Markets, Inc., the appellate court reversed the trial court's order enforcing mediated workers' compensation settlement, where the claimant's attorney did not have clear and unequivocal authority to settle on claimant's behalf. In Heaven & Earth, Inc. v. Wyman Properties Limited Partnership, the appellate court enforced a handwritten mediated settlement of lease extension by night club against challenge that parties' failure to reach full agreement on limitations and notice requirements for sound checks was a missing essential element that precluded enforcement. 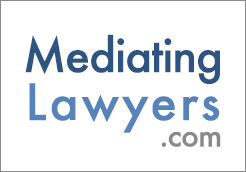 James Coben shares types of mediation skills that can be taught to lawyers interested in alternative dispute resolution: listening, conflict theory, and empathy. James Coben talks about disclosing 'trickster' activity in a mediation session. James Coben discusses teaching law students skills of how to be an advisor to their client which involves alternative dispute resolution training. James Coben describes two sets of risks in training collaborative lawyers - coerciveness and becoming too collaborative, which may end up harming the client by being too costly. James Coben discusses different forms of advocacy a lawyer can have with a client. He explains that zealous advocacy might mean litigation and it might mean helping the client making the best decision through a collaborative process. James Coben describes his objectives in teaching law. He would like his law students to see themselves as problem solvers. James Coben sees the practices of mediation and law as complementary. He believes the skills applied in mediation should be taught to lawyers, so they can be better advisors. James Coben describes his initial attraction to mediation which he saw as a much more rational and effective system of solving problems rather than attempting to solve them through the court. James Coben talks about concerns he has within the field that include systems designs that force people into mediation and a lack of transparency from the mediator to the parties. James Coben discusses how training programs and systems should teach mediators how to be transparent and honest about their process with clients. James Coben gives an example of a lack of transparency and honesty when a mediator tells parties that the mediation is totally confidential. Complete hour-long interview of James Coben with Robert Benjamin.